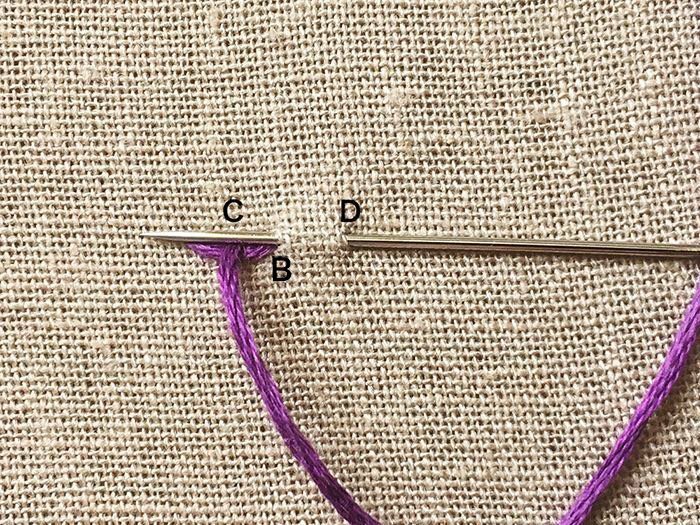 Stem Stitch can be used for outlining, lettering or flower stems. If you work it in rows, you can also use it as filling. Step 1. 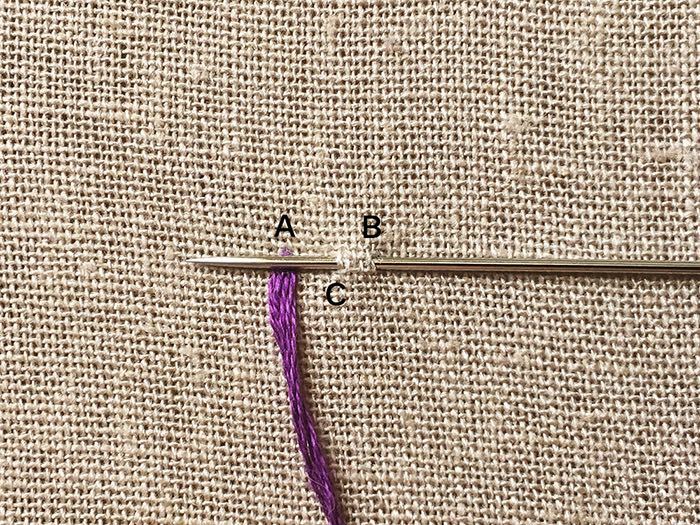 Start at A, then go back through B half a stitch length (at the center of A and B) and come up at C. Make sure the loop of thread is below the needle, as shown in the picture above. Step 2. Insert the needle at D then come up at B. Repeat.